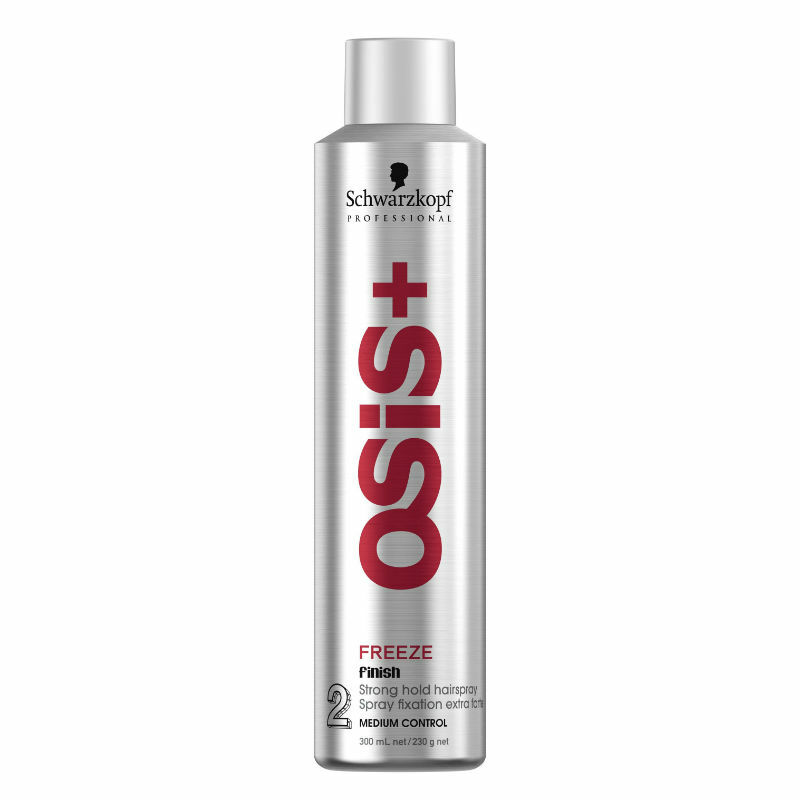 Osis Freeze Strong Hold Hairspray is a salon exclusive finishing spray with lasting control, and brushes out easily, allowing you to rework your hair. With a ultra fine mist Osis Freeze is suitable for all hair types. Protects against humidity and other external factors such as the sun, wind and rain. Directions: Apply to dry hair from approximately 30cm. Use in short bursts.